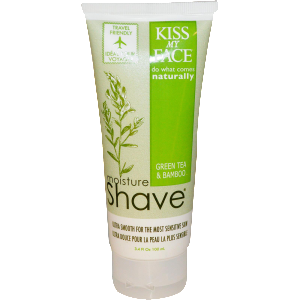 Kiss My Face Moisture Shave crème is a fragrance free, fresh idea in shaving without aerosols, unnecessary chemicals and artificial colors. This 4-in-1 superbly moisturizing shave crème provides a glide and noticeable difference you can see and feel. This balanced formula contains Vitamin E, natural oils, golden seal, lemongrass, and aloe for a smooth clean bump-free shave and impeccable look.